What do many game developers, aerospace engineers, and cryptographers have in common? They developed a love of mathematics at an early age. WPI is passionate about providing educational opportunities in Science, Technology, Engineering, and Mathematics (STEM) for K-12 students. The Mathematical Sciences Department sponsors several programs for students as young as 7th grade who show an interest and aptitude for mathematics. While on campus, students explore new concepts and applications in mathematics through imaginative projects and learn about the many rewarding and lucrative career paths open to mathematicians. An empowering day for middle school girls who love math. Please join the Mathematical Sciences Department on Saturday, March 23, 2019 for Sonia Kovalevsky Day (SK Day.) This event is for 6th, 7th, and 8th grade girls and will include fun math activities, lunch and a keynote speech by a female mathematician. Below are the mathematics-related programs offered at WPI for middle and high school students. Each year, nearly 100 high schools send students to WPI to participate in the annual Math Meet. The event provides an opportunity to encourage high school students to consider mathematics, science, engineering, and management as career options. Students battle in teams and individually as they compete for over $100,000 in WPI scholarships. Frontiers is a residential research and learning experience that challenges upcoming high school juniors and seniors to explore the outer limits of mathematics, science, and engineering using state-of-the-art technology. Two sessions are offered each summer, and projects may include any of the engineering fields, biology/biotechnology, chemistry/biochemistry, computer science, environmental & sustainability studies, interactive media & game development, mathematics, robotics, and physics. 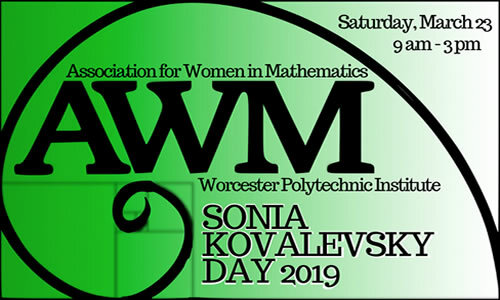 The WPI Chapter for the Association of Women in Mathematics (AWM) is planning to host a Sonia Kovalevsky Day (SK Day) outreach event for local 6th, 7th, and 8th grade girls on WPI’s campus on Saturday, March 23, 2019. The day's events will include fun and engaging math activities run by current WPI students and faculty, lunch, and a keynote speech by a female mathematician. The aim of SK Day is to bolster the girls’ continued passion and enthusiasm for mathematics while meeting other girls who share similar interests and, of course, having fun! Learn more about Sonia Kovalevsky Day or register for this event. The WPI Industrial Mathematics Project for High School Students has developed over 20 industrial mathematics projects for high school students drawn from a variety of real-world situations. Projects are available for every level of high school mathematics, from Algebra to Calculus and Statistics. Our project database contains downloadable versions of each of the projects, ready to be assigned to students. 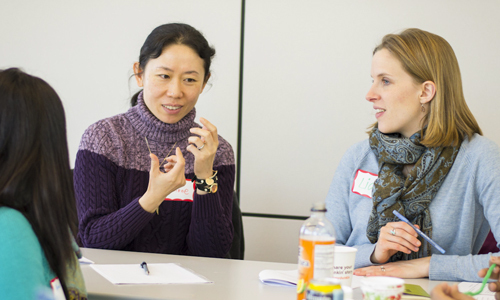 The Applied and Industrial Mathematics Institute for Secondary Teaching offers workshops for high school mathematics teachers interested in learning more about how high school math is applied in professions and forms the basis for college curricula. The next institute will be held in summer 2018. The demands of teaching mathematics today are very different than they were as recently as 10 or 15 years ago, from new state requirements to rapidly advancing technology. Learn how teachers can stay current.